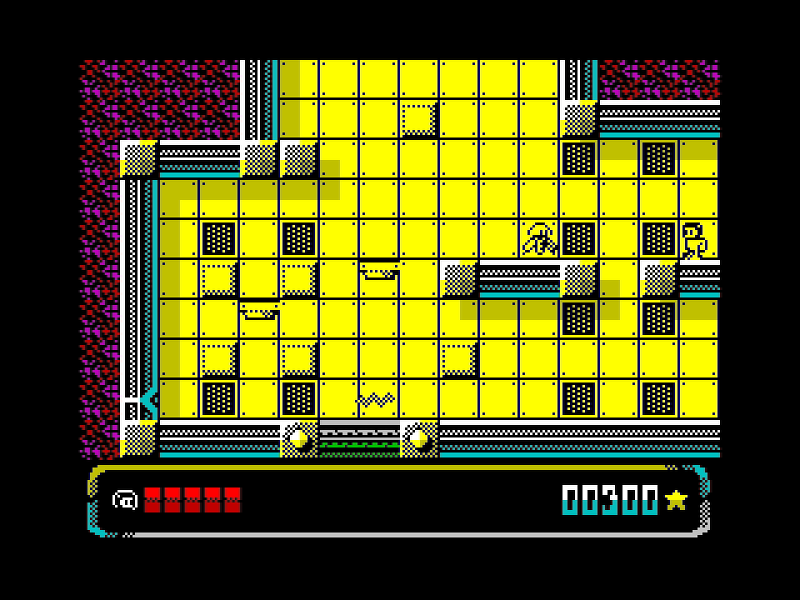 This is a ZX Spectrum 48k game, that was submitted to ZX Dev 2015 competition. The game can be played using the keyboard or a joystick (both Kempston and Sinclair are supported). The keys can be redefined. Use backspace to exit the game. Jump: you’re stranded in a low gravity planet, but you still have some control on how high you can jump. Health: keep an eye on your health meter. The items that recover your health are scarce, use them only when you’re in need. Ray Gun: this is a powerful weapon, but once fired, it will need time to recharge. Choose your targets wisely! There’s a map of the game and you can watch a walk-through (spoilers! both links courtesy of Pavero). 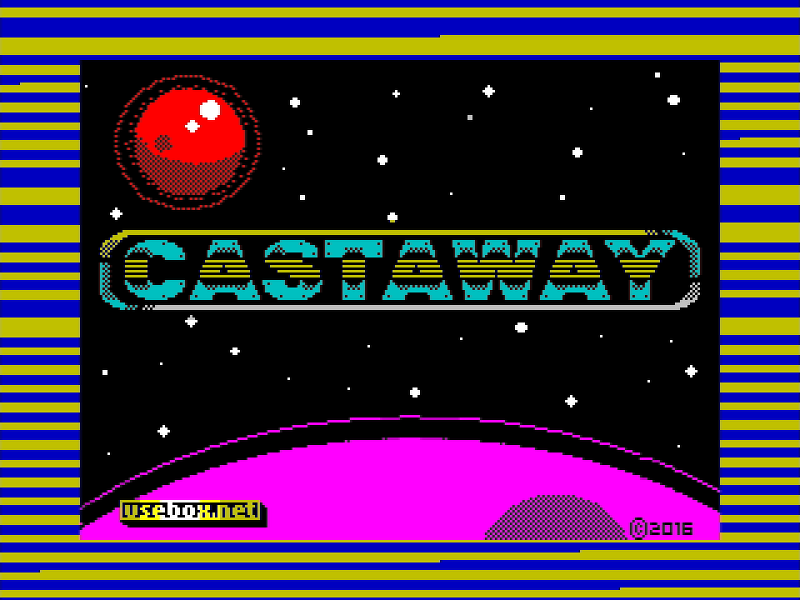 castaway.zip (.tap & inlay inside). You can also play it online thanks to Qaop/JS (external site).